Find Central Maine real estate with ease by searching recommended categories. 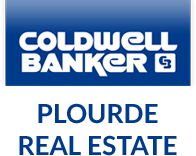 Coldwell Banker Plourde Real Estate is one of the area's top real estate companies and can help you find a Central Maine home. Contact us if you have questions or would like to schedule a tour. Search Smarter - Register with us to save your favorite properties and get email updates when similar properties are posted. Looking for a specific listing? Use the MLS Search Tool to create a custom search.